ALI is a technique to deposit macromolecules or nanoparticles from solution or colloidal suspension. Using a pulse valve, the solution is injected with an inert carrier gas into the UHV chamber and forms a spray. The solvent evaporates from the micro-droplet. The solute particles are freed and reach sample surface without any degradation. Deposition yields a thin, pollutant-free layer of the solute on the sample, ready for characterization in an UHV environment by i.e. XPS, ARPES, or SPM. The ALI software and control unit provides an interface for controlling and monitoring the spray process. Optimal performance can be achieved by adjusting the pulse frequency and duration, as well as the pressure of the carrier gas. 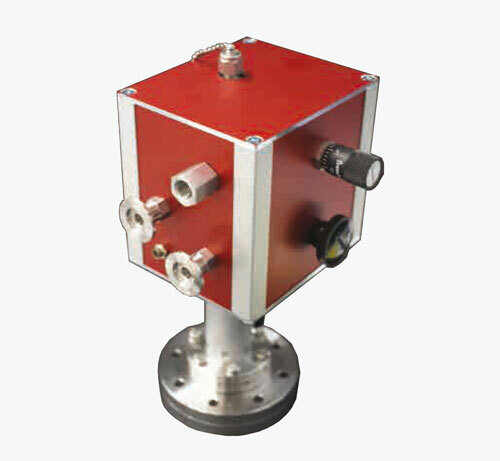 Safety features are incorporated protecting the UHV systems from overpressure or contamination. The pressure will recover quickly to the normal range, and the ALI system can be operated in any UHV preparation chamber. Visit the BihurCrystal web site for more product information and application examples.